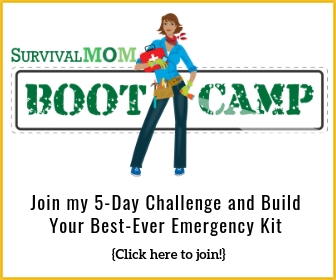 Preppers know that being prepared for everyday emergencies and worst case scenarios can cost money. Sometimes a lot of money if you factor in a multi-month food supply, a top notch Berkey water filter, and developing a lifestyle that is as self-reliant as possible. Composting toilets, solar energy, and the like aren’t exactly budget-friendly. 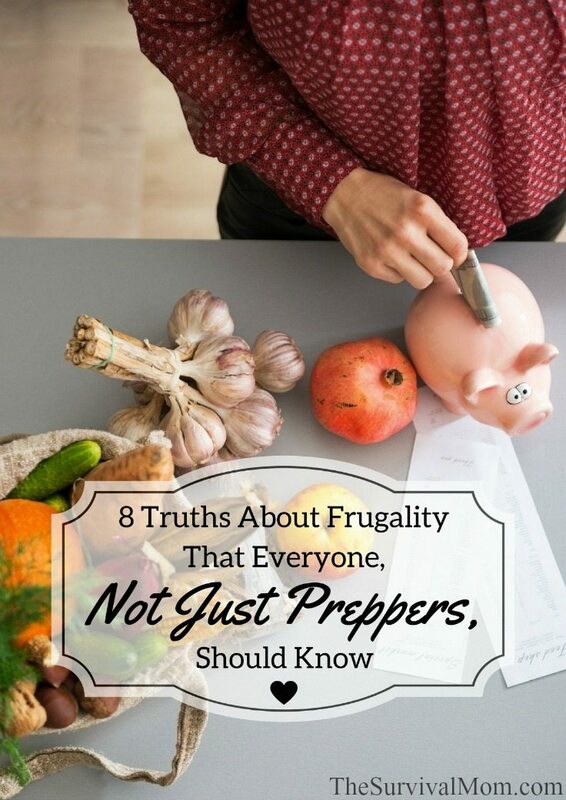 But a frugal lifestyle isn’t just for preppers, it is for everyone. 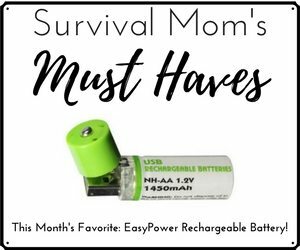 Everyone should care about their financial security and living within their means, just as preppers aren’t the only ones who should care about 72-hour kits and food storage. But, sadly, sometimes it seems like we are the only ones who actually do. In my neighborhood I often consult others on how to be more preparedness-minded. Many people feel that it is easier to build up and rotate food storage, than it is to develop good spending habits. Living within your means is a worthy goal, but it is easier said than done. Doing the work to achieve that goal can be daunting and even a little scary. People often forget about their financial goal until the washing machine breaks down or they become behind on the electricity bill. Being frugal requires some self control and learning from others, but most people don’t like being told how to spend their money. You have to want it bad enough for change to occur. The following 8 truths about living a frugal lifestyle choices will inspire you to get started. 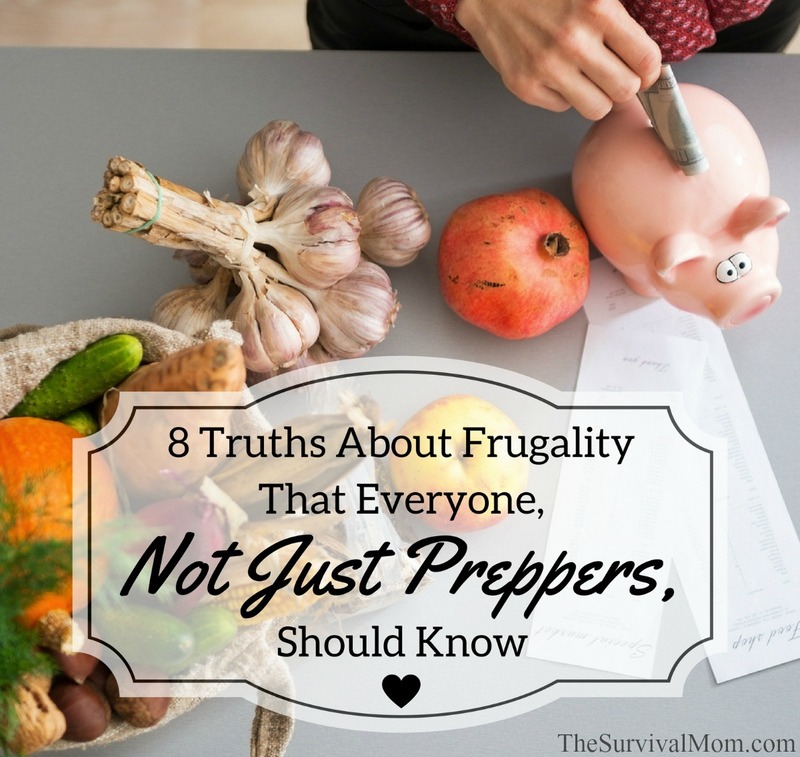 Frugality is more than just living within your means. It entails cutting costs and putting money away for a rainy day. When people think of frugality, some people recall extreme behavior as documented on TLC’s “Extreme Cheapskates.” In the show, the people featured have the goal of never spending anything ever. As a result they sometimes do things that are rude, unethical, or gross. Most frugal people are nowhere near that extreme. We just want to have some money set aside for emergencies, stay on top of bills, and have the money necessary for life’s everyday expenses. It is not about never spending, it’s about having priorities and sticking to them, even in the face of temptation. You never know when disaster will strike and you’ll need to dip into your savings. First, you need savings. Living frugally will allow you to put money into savings a little at a time. When unexpected expenses rear their ugly head, using the money in your savings account instead of charging on a credit card will keep you out of debt. TIP: One of the most helpful methods for saving money is the 52 Weeks Savings Plan. You can read the details here and use the various tracking charts in the Freebies section on this blog. Debt is a crushing monster. None of us like to be told what to spend our money on. But if you have credit card debt or loans, you no longer have that freedom to do what you want with your money. Any spare change should go toward the debt instead of the things you want. If you have debt, work to get out of it. For tips on how to pay off credit cards and get out of debt, see this article. Pay extra attention to #4, which mentions organizing debt. Money in the bank gives you freedom to fulfill your dreams – Frugal people don’t refuse to spend money ever, they just have priorities. Whether you want to travel, go back to school, or get a new car or a bigger house, the money you save adds up. As an example: a year and a half ago, we decided that my husband would quit his job so he could finally finish his education. (He graduates in two months!) Since then, we have been living on savings and bits of income from odd jobs. If we did not have savings and a plan, we would not have been able to do this. Frugality is the pathway to financial security. You can try get-rich quick schemes or pick up a part time job to make more money, but unless you have a frugal mindset, you will never get ahead. It involves making and sticking to a budget. To help you get started, use this free, easy budgeting app. Living frugally will lower your stress. A lot of people like to shop as a means of stress relief, but without good money management skills this can be counterproductive. Spending your money on your needs, like utilities, rent, food, can bring a sense of peace. You know that you are taking care of yourself and your family. When money is foolishly spent on wants, like game consoles, and expensive vacations, you will eventually have to worry about money. That peace of mind is worth much more than toys or treats. One person said of his approach to this concept, “I worry about money so that I don’t have to worry about money.” Here are 43 tips for cutting down on household expenses, something we all have to deal with. When a disaster does hit, it doesn’t hurt as much. Unfortunate things happen to all of us. Those who live within a budget and without excess, do not feel the pain of disasters as bad. As an example, we never in our married lives have had a subscription to cable TV. We consider it nonessential and distracting. Even when our homeowner’s association included cable as part of our monthly dues, we chose not to take advantage of it. The HOA decided to suspend the group subscription. Many neighbors had come to regard it as necessary to their lifestyle. They complained most vociferously, even though it lowered HOA dues a considerable amount. 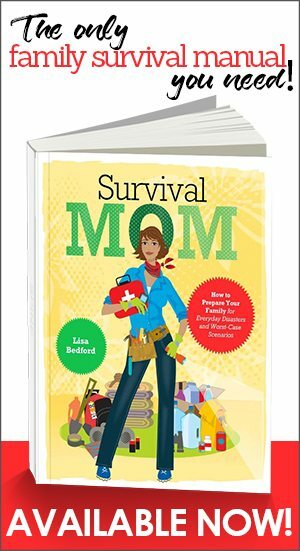 When disaster does come, as it did for this prepper couple, they had to start from scratch with their savings and prepping when they had lost pretty much everything. When you choose not to buy your happiness, life has more meaning. Frugality does tend to automatically mean less stuff: fewer toys, fewer clothes, and less hassle. Owning fewer clothes mean less laundry. All that extra time can be spent reading a nice book in a clutter-free room. You will save money by not buying a cartload of toys for your kid’s birthday. You also save yourself the time of picking them up, or the frustration of nagging your kids to pick them up. Consider celebrating your child’s birthday with an enjoyable family outing. Toys break and can be outgrown, but building relationships and cultivating memories will prove more meaningful in the long run. More tips are shared in this article about celebrating good times in tight times. If you are less of a consumer, you automatically become more of a producer. My 7-year-old son is the poster child for this concept. He recently saw a very interesting toy at his a friend’s house. Instead of asking for me to buy it for him, he went to work building a paper model of the toy. He said that “it is more fun to make toys than to buy them.” He has even made a Nimbus 2000 using this method. When my son makes paper models, he is developing a mindset of self-sufficiency, increasing his spacial abilities and improving his fine motor skills. Similarly, when you choose not to buy a new rug for the kitchen because you want to try your hand at making one, you are, by definition, developing a new skill. My husband has always been more careful with money than I was. Sometimes I resented, what I came to regard as, his miserly habits. It wasn’t until we bought a house that I changed my ways. I knew that we didn’t make more money than our neighbors. After some conversations with my neighbors, I soon came to learn that we were one of the few that didn’t have trouble making ends met. We have never late on our mortgage or utility payments. Yes, it was annoying not to be able to go shopping at the mall every time I felt like it. 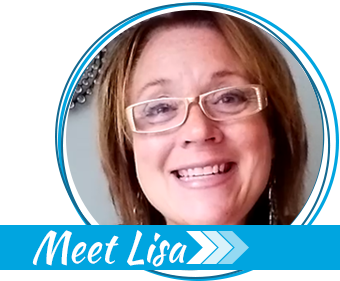 I learned that by sticking to our shopping budget, we were able to put money in our savings. Congratulations on your husband graduating in two months. I have enjoyed your articles. Yes, I appreciated Beth’s transparency in all this. It was no easy decision or task, but soon, hubby will be in a much more stable career that pays better.